The name GRAND PRIX conjures in my mind the classic 1966 movie I saw as a youngster on 70 mm screen.The film which follows the fate of four Formula One drivers through a fictionalized version of the 1966 Formula One season went on to win three Academy Awards for its technical achievement in showing speed and spectacle with unique racing cinematography.Some famous Hollywood actors of yesteryear like James Garner, Yves Montand and Eva Marie Saint starred in this movie. I still remember the concluding scene. The game is over, the stands empty and one of the drivers walks on the track kicking dust.Suddenly he is engulfed with onrush of events which had taken place - cheers from the spectators as the cars whizzed past the stands, the thundering roar of the attractive looking speed machines all creating wonderfully nostalgic waves of crescendo which finally die down to swirls of dust blowing silently over the empty track. On October 30 2011 I got the opportunity to watch a Grand Prix again but this time it was a live show on T.V. I was awestruck by the consistent speed at which Sebastian Vettel steered his way to victory. He kept the lead from the very go and even went on to achieve the fastest lap.I must admit that watching the first Indian Grand Prix which was held at Greater Noida on the outskirts of Delhi was like a dream come true, because only a few months back I was thrilled to see Michael Schumaker's garage near Cologne while driving back from Paris. For all motor sports and speed lovers I present below a series of articles written by Rudraneil Sengupta who covered the first Indian Grand Prix live from the circuit right from the preparation and practice stages to the finals. saw this article on Mint ePaper, and thought you would find it interesting. You can find it at: 'Practice session gives F1 drivers first impression of circuit'Mint ePaper - Digital replica of Print Edition. saw this article on Mint ePaper, and thought you would find it interesting. You can find it at: 'INDIAN GRAND PRIX Practice session gives F1 drivers first impression of new circuit'Mint ePaper - Digital replica of Print Edition. A food aficionado’s mouthwatering journey over the years in cities he lived. Read Rana's memoir with food. 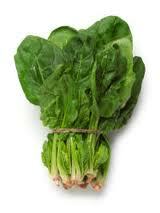 Cooking has been regarded as one of the greatest of arts right from the time of Julius Caesar. Although elements of art of cooking are easy to define, I have discovered over the years that the tastes which still linger on my tongue are the tastes that mattered. In that respect my nanny still remains unbeatable as the greatest cook in my life. We called her ‘nannabhai’ derived from the Bengali word ‘ranna’ for cooking. Be it a simple Hilsa egg fry or peas pulao or stuffed chicken or bater roast, mutton or chicken stew the food always used to be a gastronomical delight. My mother inherited some of her skills and tickled our senses with dishes like Tomato fish, Mutton kofta curry and Pudding. Now its my wife who has mastered the art of tickling my senses. Her talent for improvisation has created a new type of Shammi Kebab which is a fusion of Lucknow Shammi Kebab and Tunda Kebab. The effort has paid her – like the saying goes ‘a man’s heart is through his stomach’. Believe me or not I have been able to identify and remember only a handful of eateries during my mouth watering journey. Some unheard perhaps to this generation, some ordinary and all of them without any five star classification. Tucked away in the extreme corner of the left flank of the majestic Constantia building, at the other extreme of ‘Lat’ was our school canteen known as ‘Tuck Shop’. During our lunch time there used to be a beeline and flurry for ‘Puri sabji’ rolled out by Tuck shop. Simple but delicious is what endeared it amongst us those days. Way back in sixties this confectionery had become an important landmark in Lucknow. Whenever I got my tooth extracted my father used to take me there for an Ice Cream treat. Wow! the flavor of vanilla slab with a wafer dipped in or Tutti Fruity served in a tall glass was simply heavenly. With mushrooming of so many Ice Cream vendors and confectioners I am yet to discover that flavor. Adjacent to the twin cinema halls Filmistan / Prince, it is remembered for its unique Mutton Dosa. A very popular joint for veggies the taste of its vegetable keema curry still lingers. This used to be my favorite joint. The dish I enjoyed most was Mutton Jhalfrezy with naan.I also remember the mobile van outside Christ Church School which used to make delicious Shammi kebab of ‘geeli’ type and roomali roti in the evenings. And last but not the least was a shop near the park facing CDRI, Lucknow.I enjoyed their shammi kebab and mutton biryani. Biryani originated in Persia, and Lucknow Biryani which is also known as ‘Dum’ Biryani because of its cooking process made its mark when the Nawab of Oudh introduced the cuisine meant for the Royal family to the common man by arranging to serve it to gatherings in the premises of Imambara. In 1856 the Biryani moved to Calcutta from Lucknow along with Nawab Wazid Ali Shah who was deposed by the British. It entered Calcutta since the cooks also moved with the Nawab. In Calcutta it also entered the poorer homes which could not afford meat everyday, and so the meat was replaced by potatoes. Today if you order for a chicken or mutton Biryani in any of Calcutta’s popular restaurants like Aminia, Shiraj or Shabirs you will find that they have stuck to the tradition of including potatoes in the Biryani. Tastes little different but is quite close to the taste of Lucknow Biryani. My recommendation for food lovers includes Pasinda Kebab of Aminia, mutton Rezala of Shabirs and beef roll of Nizams. But the true palate pleasers I experienced in Calcutta are ‘Kasha Magso (mutton)’ at Friends, Gariahat or Golbari at Shambazar 5-point crossing; Dal Kachori of Shree Hari,Bhowanipur, Mixed Fried Rice at Jimmy’s Kitchen, Theater Road, Fish Grille at Indian Coffee House, College Street., Sausage roll and Darjeeling tea at Flury's and apple tart and plum cakes at Nahoum and De Gama..At this point I must admit that I am an avid tea lover., and that has turned me into a connoisseur over the years.Be it tea from Darjeeling, Assam or Nilgiris I feel proud to claim that I can tell the difference - it is like whiskey, difference between malt, blended, scotch or single malt. Like Scotland, a country in Europe, earned fame and name by producing world's best whiskeys , a much tinier Himalayan region of Bengal 'Darjeeling' boasts of producing the finest of world's tea. I also never believed it is so famous till I saw a huge board at the concourse of Amsterdam Central Station saying ' DARJEELING TEA AVAILABLE HERE'. Like the Mughals left their footprints in Lucknow and Eastern part of India, Delhi can boast of being the originator and hub of some of the most tantalizingly delicious and appealing Mughals cuisines. The symphony of taste, aroma and colors which Mughals left for us can be found in the Jama Masjid and Nizamuddin areas of Delhi. Notable, both historically (as it was started in Red Fort) and also for maintaining the tradition for over a century is ‘Kareems’. But if one wants to get a quick taste of good Biryani (reminiscent of Lucknow Biryani) one has to eat standing on the narrow lane of Ballimaran, close to Mirza Ghalib’s Haveli. Ghalib is regarded as the greatest lyric poet during the times of Bahadur Shah Zafar,the last Mughal Emperor who himself was a profound writer on Sufism. I would also like to include in my favourite list Peshawari at Daryagunj where I have had the tastiest of chicken preparations and Kake de Hotel at Connaught Place, although I have not been to these joints for years. Amongst the restaurants closer to my house where I prefer to eat out are Embassy,United Coffee House, Connaught, Gola Sizzler, Pind Baluchi, Drift at Epicenter. The above line is from a very popular oldie which aptly paints the image of Bombay. And once upon a time in Mumbai there were many Iranian restaurants owned by the Parsi community of Bombay. The Eateries were presentable with well laid comfortable wooden chairs and tables neatly decorated. In other words newcomers to Bombay had an urge to try out one of these typical looking joints which lent a unique character and look to the city. It happened to me when I first landed at Bombay with a job in the late seventies. During my stay there as a bachelor I tried many out of which the one on Hill Road opposite the Talkies where I used to have Pudding –it tasted great; mutton chop and keema masala rice at the one adjoining Purohit outside Churchgate station; prawn curry rice in the Fort area and keema curry rice near Wadala station need special mention. While frequenting these joints I came across a few celebrities like Maqbool Fida Hussain, Shahir Ludhianvi and young Sanjay Dutt who was yet to make a mark in Hindi movies. Although I remember the location, the surrounding and the food for their unique taste, I don’t remember the names of these restaurants because they all had typical and almost similar names like ‘Light of Asia’ etc. etc. It is only after the terror attack of 26/11 which started off in Leopold Cafe at Colaba, did I remember that I sometimes used to have evening refreshment there while walking down from Churchgate to Cuffe Parade where I was staying during the first six months of my stay in Bombay. Then there are some small and big Mahrashtrian eateries where one can enjoy a combination of Ussal Pao and Sira—a very delicious combination which you would love to have repeatedly once you taste it. I remember the name of only one such eatery due to its immense popularity ------ Mama Kane just outside Dadar station on the Western side. 'Payesh' prepared from milk and rice with sprinkling of raisins and bay leafs is one of my most favorite sweet dish. A delicious sweet dish from Bengal it is generally not available in bistros. Normally prepared in Bengali houses on festive occasions like birthdays, bhai phota, annaprasan, etc. it is also regarded highly auspicious. It is served chilled or hot and its taste can pin down any of its counterparts like firni or pudding or ice cream. Simple to make but it calls for a magic hand to maintain the right proportion of milk (cow's milk), good quality rice, almonds, raisins and sugar to bring out the yummy flavor in it. The processes consist of boiling the milk and when it thickens add rice (Bengalis use Gobindo Bhog rice for its characteristic aroma). Also smear little ghee on the rice to enhance the taste Stir continuously and add sugar when rice gets 3 quarter boiled. One has to keep medium flame till rice is cooked. By that time milk also thickens. Sprinkle dry fruits before serving. Some houses also add jaggery and cardamoms to give it a different flavor but to me no other variety can beat the taste of simple white 'chaaler payesh'. 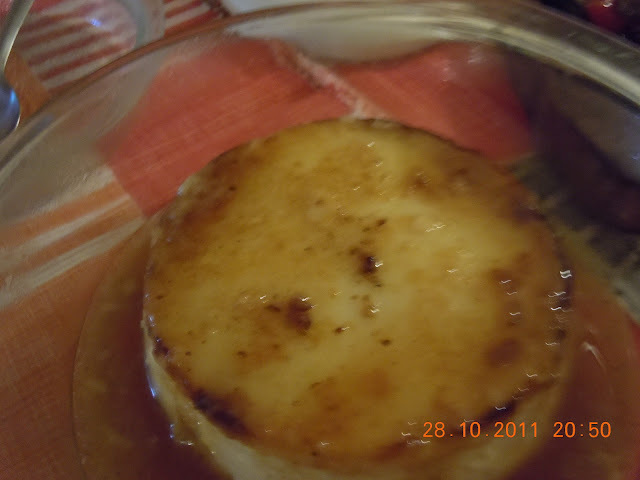 The above image is of Payesh prepared by my wife on my birthday. What still remains a mystery to me is as to why this culinary delight has not been able to find a place amongst the globally popular Indian cuisines. 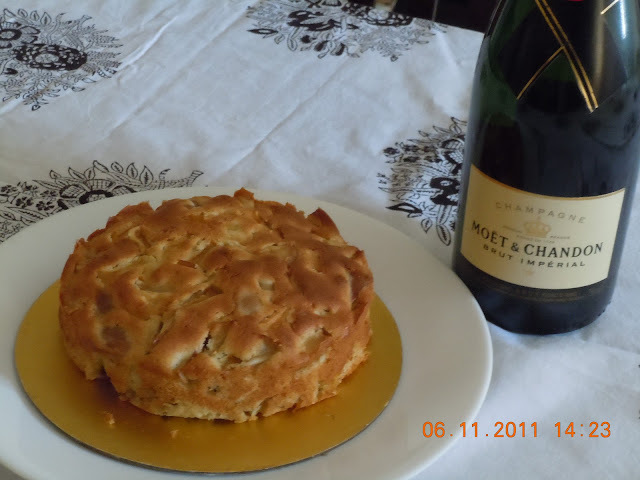 Apple cake from Mandakini's bakery tastes superb. No exaggeration though it can beat hollow likes you get at Delhi's oldest confectioner Wegners at Connaught Place. 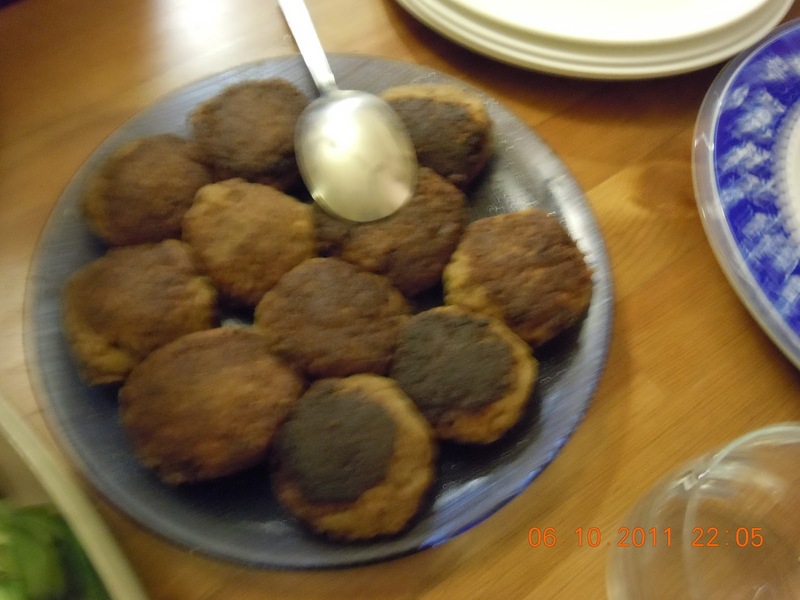 A unique combination of Lucknow Shammi Kebab and Tunda Kebab is my wife Ruby's creation. From her repertoire of creations. - A truly delicious and wholesome food, which at the time serving makes a hissing sound and emanates smoke as of something frying. I came to know more about sizzler after my marriage to Ruby. We got married on the 7th of May 1980. Sizzler makes me look back to a very special eating out episode with Ruby way back in early eighties. We had gone to see an evening show at Bandra Talkies in Bombay. After the show we decided to dine out at Gazebo on Linking Road Bandra. Ruby wanted to have sizzler but I suggested that we have something gentler instead. 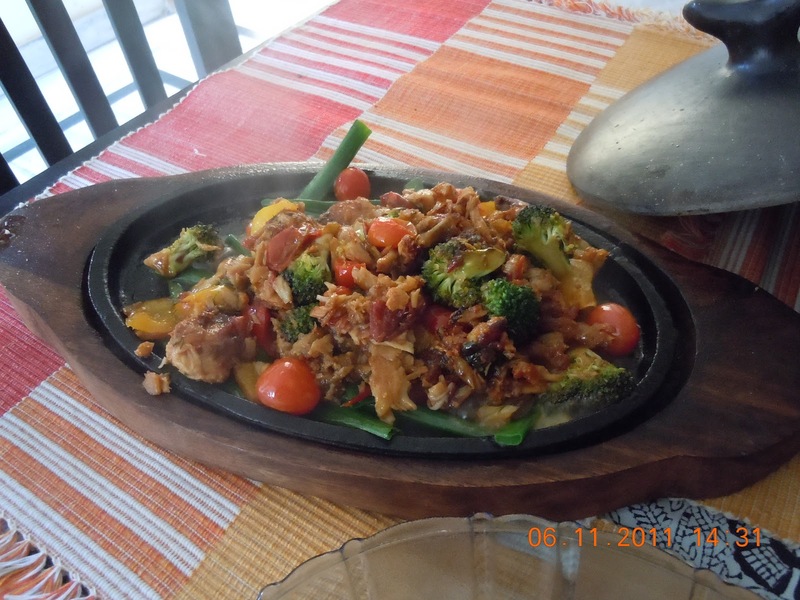 All the noise and smoke a sizzler belched out while being served always gave rise to an embarrassing feeling that attentions of all diners get directed to your table. I don’t remember what we ordered out that night but I could somehow convince Ruby to go for something else in place of sizzler. Coincidentally someone else had ordered for a sizzler and when it was brought in with all noise, fumes and whiffs of aroma it drew everyone’s attention to it and I could sense the embarrassment those diners were going through of being stared by others. Perhaps that was because very few people ordered for sizzler those days. Times changed and if I remember correctly my wife had her first sizzler almost after a decade at Kwality on Park Street Calcutta as sizzler had gained popularity by then and no one really bothered about being stared down when it was being served. Not only she got her long cherished desire fulfilled, she also broke the ice that day for me. The love for sizzler I acquired after that make us frequent Gola Sizzler at Connaught Place Delhi, which happens to be one of the oldest sizzler restaurant specializing in sizzler and serving a wide variety of sizzlers. 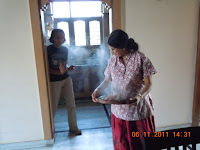 Nowadays she prepares it herself in the house also after having bought a sizzler tray in a wooden container. The main ingredients she uses are cabbage for wrapping the vegetable mix, fish, prawn or meat which are stir fried ; butter , water and sauce to produce the sizzling effect. The pic shows my wife bringing the sizzler to the dining table. Bangals as distinguished from 'Ghotis' (locals of West Bengal)are immigrants from East Bengal before and after Partition. Although I was born and brought up in places like Benaras and Lucknow I am considered a 'Bangal' by virtue of my forefathers' connection with East Bengal even though they had crossed the border to India much before Partition. Bangals possess a different style of cooking in contrast to Ghotis. Any Bangal, young or old, can easily make out whether the host is a Ghoti or a Bangal. In other words Bangals are both great cooks and great foodies.Ilish has always played a major role in lives of all Bengalis. It is prepared on all auspicious occasions and also whenever Calcutta's major football club East Bengal emerges victorious. Ilish is an oily fish rich in omega 3 fatty acids and available in abundance in the lower Ganges (Padma) and lower Brahmaputra (Meghna). Since both these rivers are located in East Bengal Ilish has been given the status of National Fish of Bangladesh. Partly because of its natural beauty and partly because of Padma Ilish a visit to Bangladesh was always my cherished desire since my childhood. Finally my dream came true in 1987 almost 16 years after a new nation Bangladesh emerged after breaking out from the shackles of East Pakistan. Since I went by road on my first visit, our bus had to be ferried on huge ship like barge across river Padma before entering Dhaka city. Crossing took over an hour and during the course of that journey I was awed by the waves and magnitude of Padma. I was convinced as to why so many proses, poems and folk songs have been woven around Padma. I remember it was a winter night and reflection of the moon on the waters of Padma sent strange romantic ripples through my timbers- a feeling which remains indescribable. At Dhaka we had Ilish curry and rice, not at Gulshan but in the busy lane of Sakharipara. The pieces were small but the fish tasted out of the world. Perhaps this is the only fish which has its own characteristic taste. That is why one has to have an eye for the right selection while buying Ilish from the market. I always feel that if one tastes the roe of Ilish he or she will never go back to caviar which is considered the costliest delicacy all over the world. Because of its characteristic taste and free from any fishy smell an Ilish is a frienno e mannammo - frying and eating - affair (as simple as that). 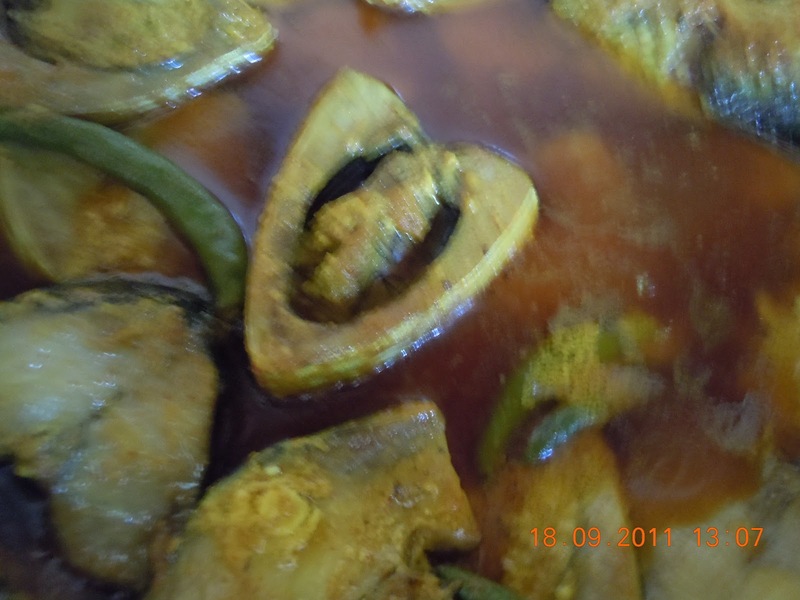 Mix all the ingredients together with Ilish pieces in a kadai. Cover with a lid and slow cook in medium flame for 10 minutes, give 10 minutes standing time .Serve hot with rice & gandharaj lebu( a special aromatic lemon available in Bengal in abundance) on banana leaf. Caution: Do not fry the fish pieces. 1/2 kg finely minced meat;200g hung curd;1 tsp finely chopped onion;2 green chilies chopped to small pieces;1 tbsp chopped coriander leaves; salt to taste. 250gm onion paste.25 gm ginger pate, 10 garlic pod paste.200gm hung curd. 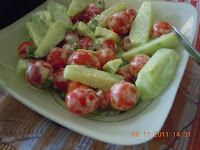 Mix all the ingredients with minced meat with 200gm hung curd and marinate for one hour. Heat oil and then add 1 tsp sugar for caramelization, 2 pcs cloves, 2 pcs cardamom.1pc cinnamon Then add garlic, onion and ginger paste and sauté in pan till onions turn brown. Add 200g curd and keep stirring. Add water and salt to taste. 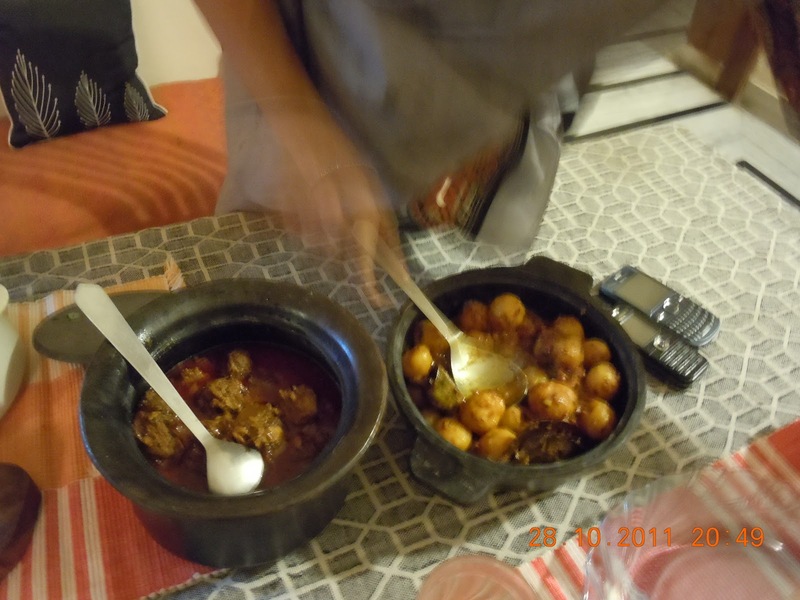 When the curry starts boiling, make medium sized meat balls manually and add them in the gravy one by one. Cook in low flame for 15 minutes. Give standing time 15 minutes. Serve hot. Born in Milan in 1925, the author grew up in Italy. When world war II came to Italy her family had to abandon their spacious house in Milan and move to the countryside to avoid the ravages of war. The stinging nettle grows abundantly in the European countryside. It has hairy stings all over. Stinging nettle tastes similar to spinach when cooked and is rich in vitamins A, C, iron, potassium, manganese, and calcium. In India stinging nettle it is found in the Kumaon region and is known as 'shishnu'..
Anna says that she belonged to a generation that was taught to be self-effacing. In spite of that she has written books on cookery which inspired a new generation of cooks. 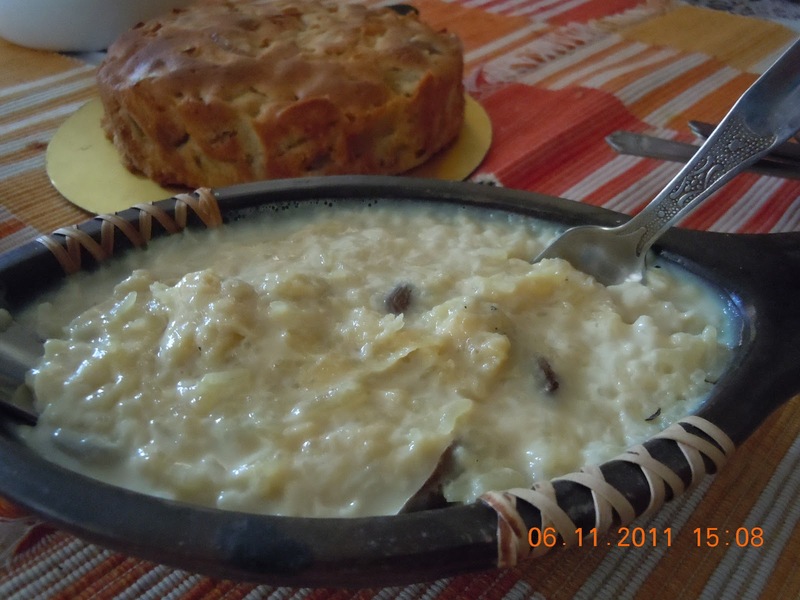 For all culinary enthusiasts, here are recipes of two of Anna's most popular dishes. Heat half the butter, the oil, the shallots and the celery in a heavy saucepan and cook until the soffritto of shallot celery is done (about 7 minutes). Mix in the rice and continue cooking and stirring until the rice is well coated in the fats and partly translucent. Meanwhile heat the stock and keep it simmering all through the preparation of the dish. Pour in about 150ml of the stock when the rice becomes shiny and partly translucent. Stir very thoroughly and cook until the rice has absorbed most of the stock. Add another ladleful of simmering stock, and continue in this manner until the rice is ready. You may not need all the stock. 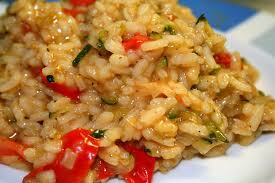 Good quality Italian rice for risotto takes about 20 minutes to cook. While the rice is cooking chop up together the rind of the lemon and the herbs, and mix them into the rice halfway through the cooking. In a small bowl, combine the egg yolk, the juice of half the lemon, the parmesan, the cream and a very generous grinding of black pepper. Mix well with a fork. 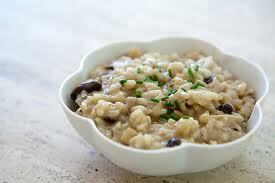 Draw the pan off the heat and stir in the egg and cream mixture and the remaining butter once the risotto is al dante. Cover the pan and leave to rest for 2 minutes or so. Then give the risotto an energetic stir, transfer to a heated dish or bowl and serve at once, with more grated parmesan in a little bowl if you wish. From my early years I showed a lot of interest in collecting copies of National Geographic - not just for the heck of it but for the fascinating photographs and great articles on travel,wildlife,natural science and history published in it. The photographs were so captivating and real, they created a great passion for adventure in me and an urge to know more about my planet and my universe . In sixties when I was in school, I could find only one shop dealing in second hand books which sometimes used to keep some back issues of National Geographic. The shop was located in Hazratgunj area of Lucknow, close to Capitol Cinema . So ardent was my desire to get a copy of a second hand National Geographic ( a new National Geographic was extremely costly during those days) that that was the only occasion when I bothered my parents for money for buying it. In this regard they were very supportive and liberal. A lot of changes have taken place since then over the decades that followed, and the most encouraging of them is availability of the magazines at almost all book / magazine stores in India. Now we also have a TV channel by the same name. The first issue of the magazine was published in 1888 under stewardship of Gardiner Green Hubbard who had formed an elite club named Cosmos Club in Washington D.C.,USA. Elite group of academics,wealthy persons interested in travel,explorers and scientists used to gather at the club to organise a society for the increase and diffusion of geographical knowledge. Gardiner became the first president of the society and on his death in 1897 the mantle was passed down to his son in law Alexander Graham Bell. Apart from being an eminent inventor Bell as a child displayed a natural curiosity about his world, resulting in gathering botanical specimen as well as experimenting even at an early age. Bell's son in law Gibbert Hovey Grovesnor was named the first Editor of the magazine and continued to serve the organisation for 55 years (till 1954). Chris Johns is the present Editor of National Geographic.He is the first field photographer to take over as Editor in Chief. During his recent visit to India Rudraneil Sengupta of Mint interviewed him which was published in the Mint of 28 October 2011. If you view this interview you will discover the rare courage and guts these passionately adventurous team of National Geographic musters to bring you some great fascinating facts of our planet Earth and the Universe year after year.For instance Chris Johns recounts here a blood-curdling situation he experienced while trying to photograph a pack of wild dogs from underneath his Land Rover in order to to capture the pack at ' dog's level'. The following story by Rudraneil Sengupta was published in the 'Travel' section of MINT on October 28 2011. In the light emission phenomenon known as electroluminiscence,energy is released in the form of photons (light energy) when electrons combine with electron holes within the device.This was discovered by H.J.Round way back in 1907.It took almost 55 years before the first visible red LED was developed by Nick Holonyak Jr. while working in General Electric USA. 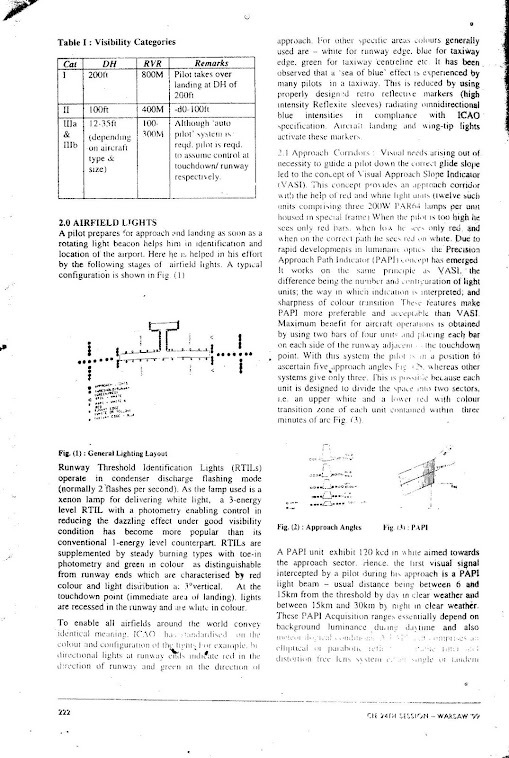 He is also known as 'father of light emitting diode'.But for almost 40 years LED had very limited application as a light source due to its emission mainly in infrared and longer wavelength spectrum.The application of red LED was restricted to indicator light . It was Shuji Nakamura of Nichia Corporation who brought in the first high brightness blue LED. Since the beginning of this millennium LED as a light source for illumination has grown in rapid strides due to developments in material science, chip fabrication process, development of high power LED package. 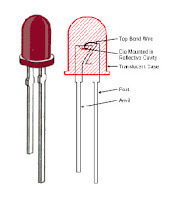 The principles of light emitting diodes are shown pictorially. However the applications of LEDs in lighting were confined to aviation lights and traffic signal lights till the evolution of white LEDs. This followed only after Nakamura's discovery of blue LED, and was achieved by mixing blue with yellow light which made the mixture appear white to the human eye.White LED composed of a single semiconductor chip was invented by Prof Jurgen Schneider of Fraunhofer Institute of Applied Solid State Physics in 1995. 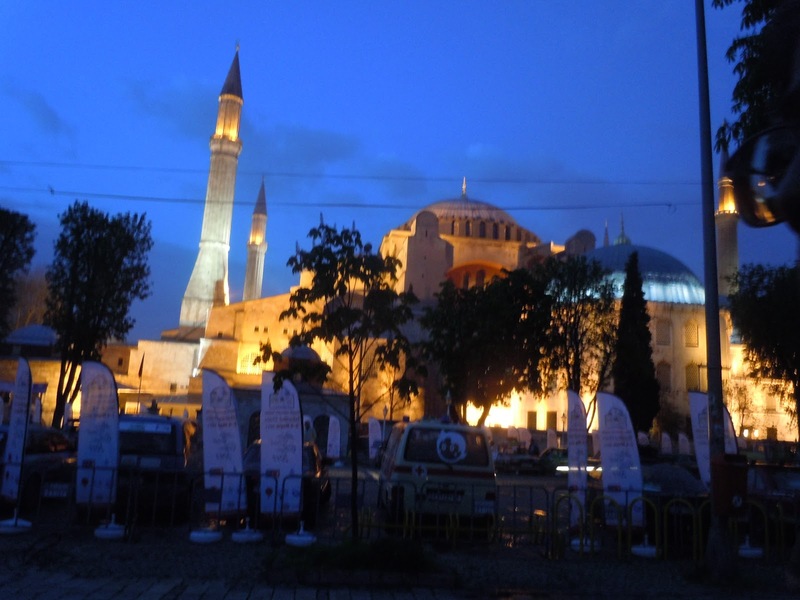 Gradually energy efficient home lighting, street lighting and even floodlighting with LED started becoming a reality. Growth in this sector of green light is rapid. With developments in chip production technology ,organic LEDs (OLEDs) were also introduced in addition to the conventional LEDs.Organic LEDs are carbon based films sandwiched between two charged electrodes ie. a metallic cathode and a transparent anode ( usually a thin film of metal evaporated on a glass substrate ).Made from flexible polymer these transparent sheets emit bright light when biased and are being used as screens in cell phones,MP3 players, cameras etc.A lot of research is underway to make OLED a practical source in lighting. Quest for a greener energy has provided impetus to scientists and technocrats all over the world to make LEDs more and more energy efficient. 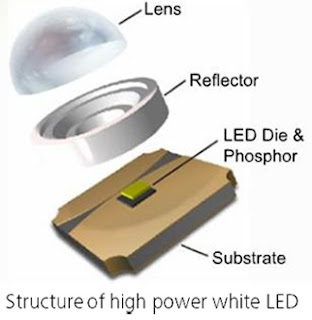 Highest lumen/watt of 160 lumen/W, which till date was boasted by low pressure sodium vapor lamp, has already been achieved by Bridgelux for gallium nitride on silicon ( GaN-on-Si ) - by inducing growth of crack free GaN layers on 8inch silicon wafers. Recently researchers at Harvard School of Engineering & Applied Sciences have demonstrated a robust new architecture for quantum - dot LEDs ( QLEDs ). QLEDs have been found to produce better color reproduction, energy efficiency and cost effectiveness due to lower manufacturing costs. 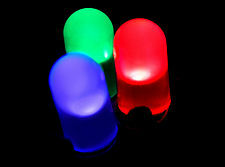 The physics of light emitting diode explains how the wavelength or colour of the radiation is dependent on the energy of band gap energy of the materials forming the p-n junction.That is why materials used for LED have direct band gaps , and since LEDs were made of gallium - arsenide in the beginning color of light was restricted to near infra red and red.Advances in material science provided a lot of scope to LED researchers to develop LEDs emitting light in shorter wavelengths.Most materials used for LED have very high refractive index.For eg. refractive index of bare uncoated silicon is 4.24 relative to air which is 1. As a result much of the light gets reflected back inside at the air /material surface interface, affecting the light emission efficiency of the LED.Increasing the light efficiency has been a challenging task since.Many different optical shapes for chip surfaces have been developed. A convoluted chip surface with angled facets similar to Fresnel lens was one such development. 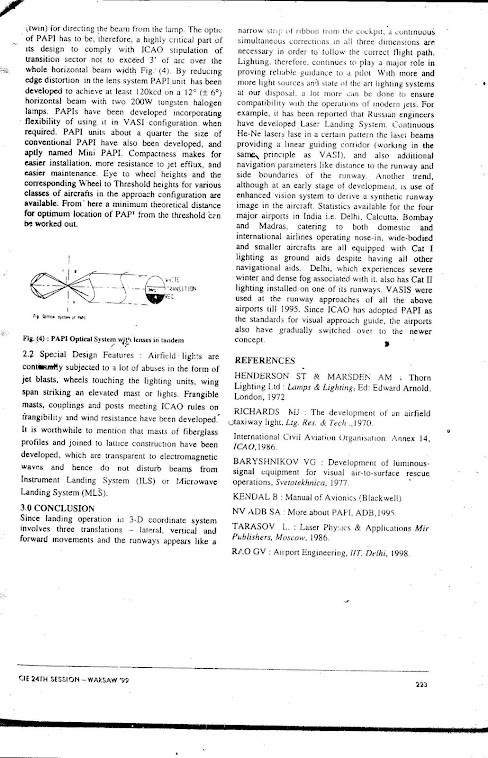 As mentioned earlier in this article, it is only after Prof. Schneider's invention of white light LED chip in the mid nineties that LED found its place as a light source in general lighting applications. 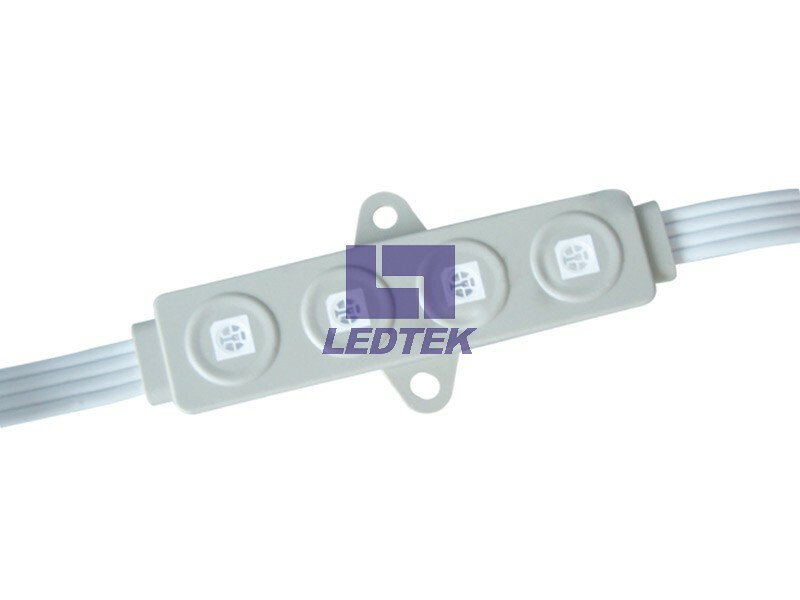 The white LED with efficiency from 85 - 125 lm/W already outperformed tungsten halogen products.The operating principle consists of an LED-chip whose blue radiation excites yellow fluorescent particles mixed with the resin. 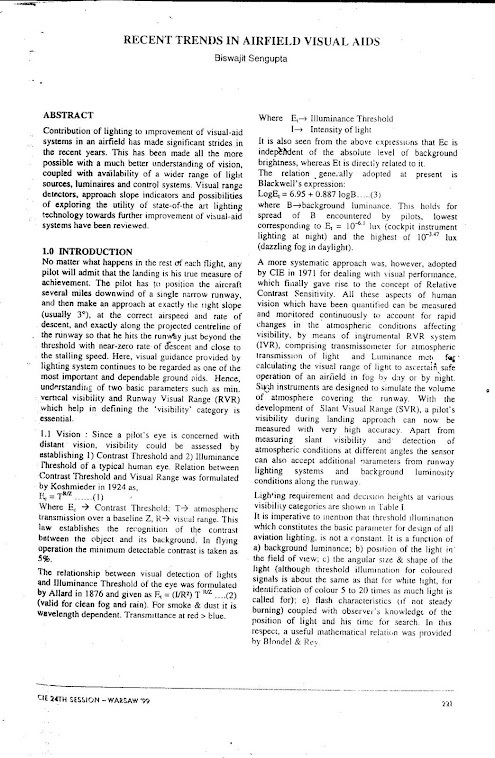 The emission of blue and yellow light finally results in white light.A comparative illustration of light sources which evolved over the centuries for general lighting applications is shown below in the figure captioned 'LED for General Lighting'.Due to its inherent advantage of long life and being termed 'Green Light', researchers all over the world are focusing on development of more efficient optical system, thermal management for enhancing reliability and standard light engines like those in conventional technologies such as fluorescent and HID. Though currently there is no standard for the interface between the LED engine and the fixture various types of LED Modules have come in the market catering to luminaires for different application areas.However the most promising ones are modules comprising light source,driver electronics,optics and thermal management in a single unit. Electric potential energy is converted into electromagnetic energy whenever electron recombines with positive charge. This quantum of electromagnetic energy emitted as light is known as photon. The frequency characteristic of this emission is dependent on the semiconductor material used because band gap energy varies with semiconductor. As illustrated light is emitted perpendicular to the semiconductor surface from all the four sides. In order to direct the light toward the desired exit direction, the chip is placed in a tiny reflective cup. 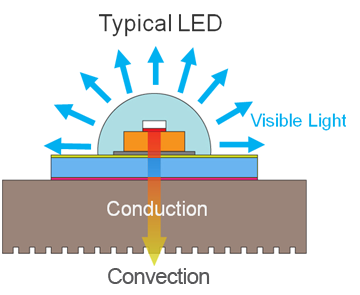 Linear relation between forward current and light output from LED. Champs de Elysees, the most attractive avenue I have ever seen, is also known as 'La plus belle avenue de monde' i.e. 'the most beautiful avenue of the world'. It ends at the Arc de Triumphe built by Napoleon Bonaparte to honor his victories.